What Advantage do we offer? o NDB, VOR, ILS, LLZ, GPS/NPA, DME or GPS arrival. o One hour instrument time in 90 days for single Pilot recent experience requirements. The Bell 412 has a long history as a reliable and versatile workhorse in the aviation industry. Consequently the digital update of the 412EPI and it’s Bell Basix Pro system has been a popular update, marrying modern features to impressive performances boosts. To answer the training needs of such an advanced helicopter GeoSim Technology has created an all-new 412EPI simulator with a high fidelity reproduction of the Bell Basix Pro system, helping to achieve better, safer training. Our unit also features immersive controls modelled off the real aircraft complete with pedals, collectives with 412EPI collective heads and centre console instruments to grab the attention of the pilot and keep them immersed. 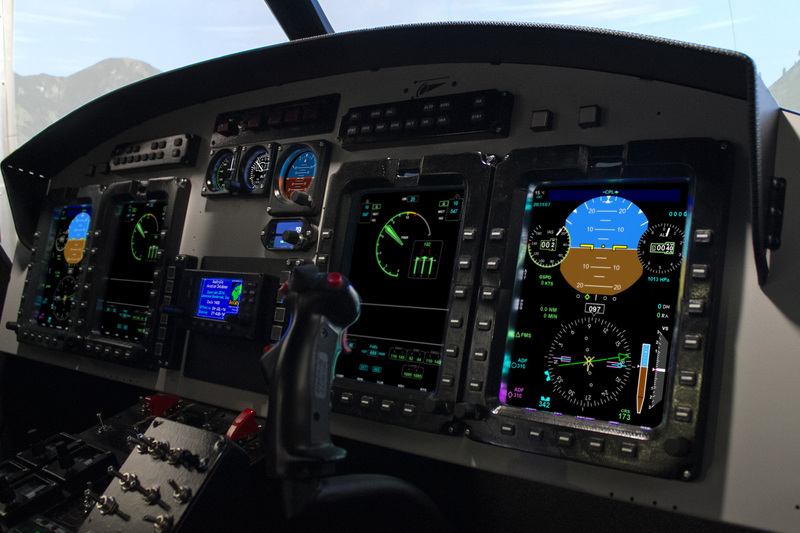 For unparalleled immersion we offer a range of DOME Scenery Systems up to 300° wrap-around screen with vertical curvature to maximise peripheral view – an essential for helicopter simulation.